I have a serious addiction to cakes and everything that comes with them! 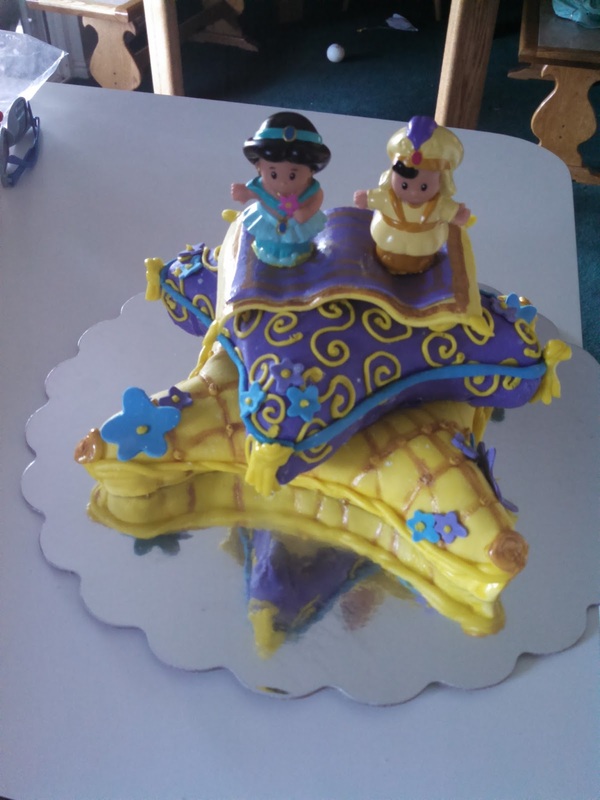 I have been baking and decorating cakes for almost 12 years now for all kinds of occassions! I like to make all kinds of confections with baking and candy making that I will post here too. I mostly create for family and friends but if you have someone or are someone who likes what you see and would like a specialty cake, I would be glad to help! I also do lots of cakes for friends of a friend too. Please have a look around and I hope you enjoy my creations as much as I do! February 16, 2017- After 2 years off, I want to at least get my photos on here and out there. I'm sure no one reads or looks at these pictures, so this is purely for me. I only take a page or two in the family photo book each year(hubby said I take too much room on cakes😁). So here is my outlet so that my work will be documented somewhere. I'll label the ones I remember! Here we go! Feb. 8th, 2015- Gus's 8th birthday. We had a Lego party and I literally through this together with a rice crispy Lego on top. Feb. 18th, 2015-Leo's 6th birthday. We had a dress up party and for the second year in a row, he just wanted cupcakes. I think I have ruined my own kids for cake! 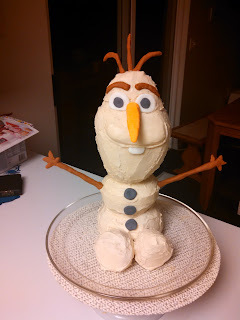 I've made this same Frozen cake three times. Once for my niece, Claire; once for my friends daughter, Adele; and once for Julie's neighbors daughter. All three times I enjoyed it. 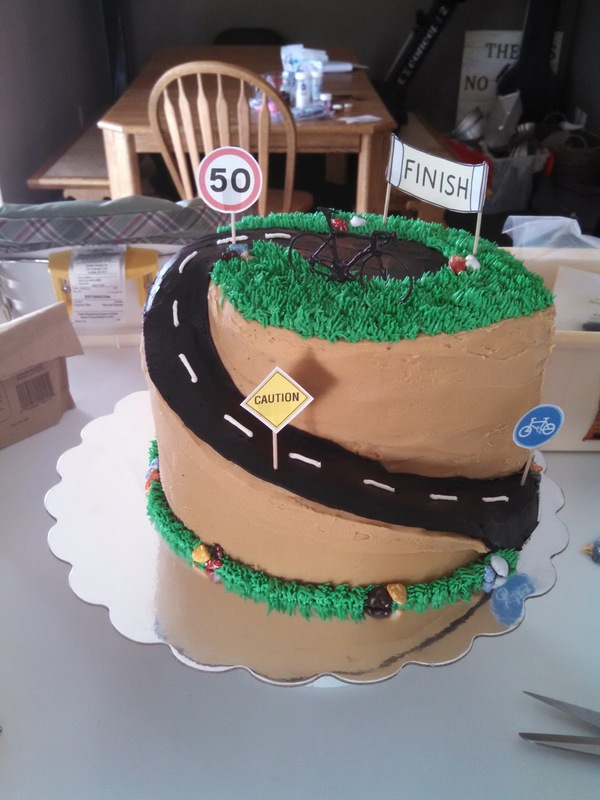 It's such a fun cake with interesting elements. The candy icicles look different every time! I think I made this one for Landon but I'm not sure!?! One of the only cakes Joey will willingly eat. The Favorite Chocolate Cake!! This one was for the PTA presidents son. Super fun to put together. 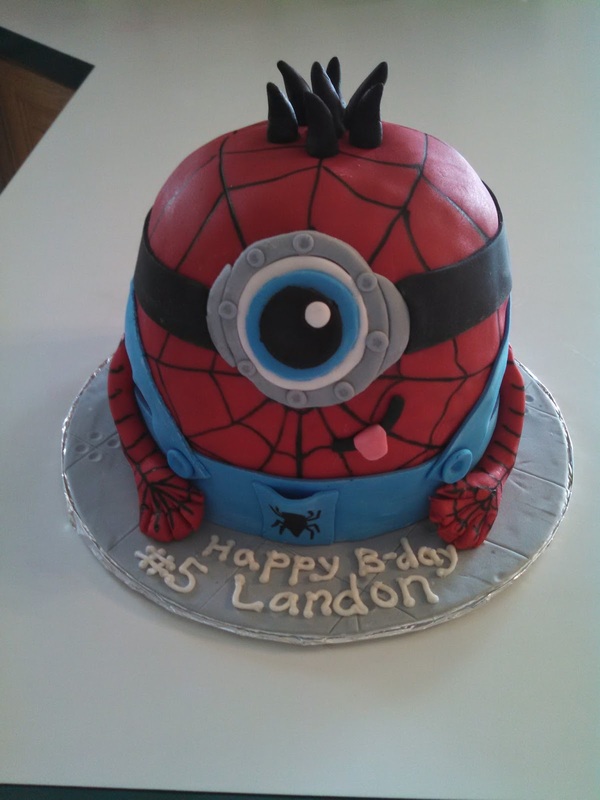 I like to do the Superhero cakes. This one was for my niece Paisley's birthday. She doesn't like cake so Olaf is made out of rice crispy treat. 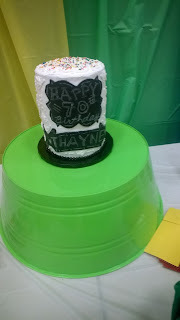 My father in law turned 70 last year and I was in charge of the cake for the surprise party. I used black fondant and a white candy melt to draw on it like chalk art. My nephew, Eric's 16th birthday. It was supposed to look like a licence plate with running logos. 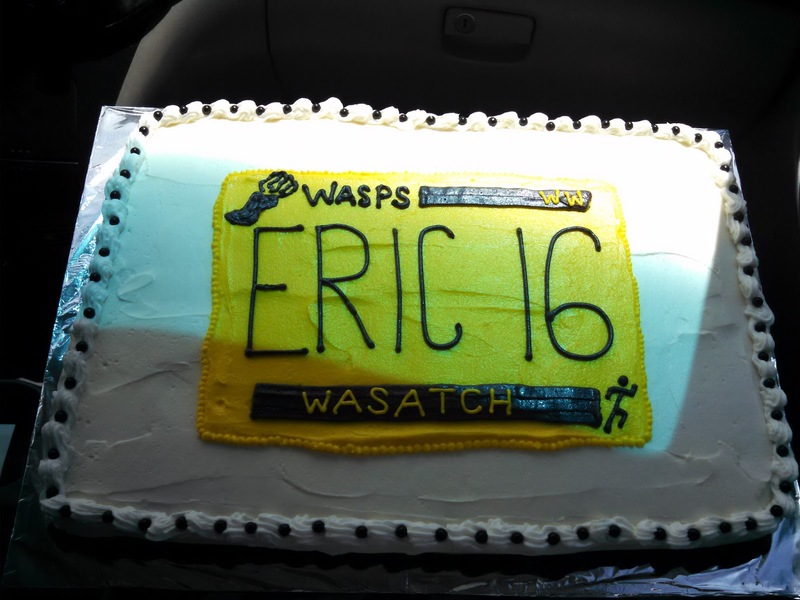 He's a track star at Wasatch high school. 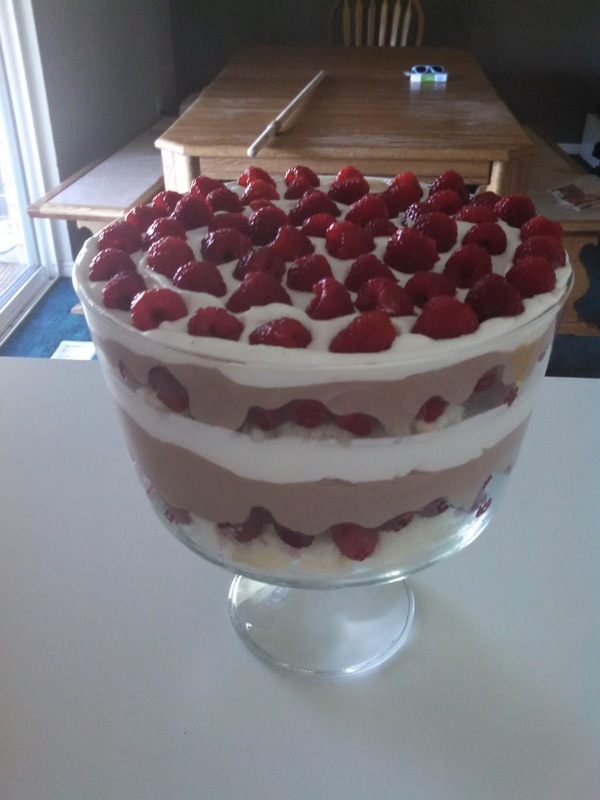 Not really a cake but my new favorite thing is my trifle bowl. 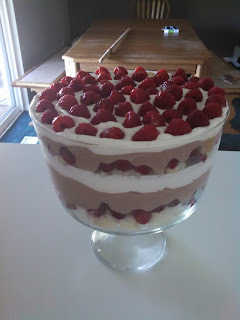 Super fun and the finished product is so pretty and delicious! I really loved this one. It's a trend right now to keep wedding cakes "naked" meaning without frosting on the sides. I lightly carved the sides of a filled stacked 4 layer cake. 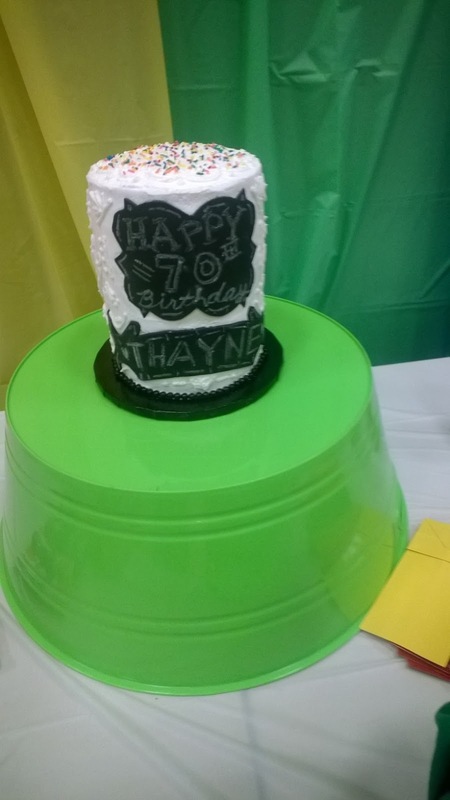 Then iced the top & stacked another filled, stacked lightly carved 4 layer cake. The middle layer on both is filled with large balls of icing to create a ruffled look when stacked. Then it's dusted with powdered sugar. This was for my sister in law's neighbors daughters wedding. I know, it's a mouthful. I used leaves and baubles from the table decorations to decorate it because she didn't have a topper. It's turned out beautiful! This is Joey's cute niece, Chelsea's wedding cake. This one was for my cousins little boy, Milo's 2nd birthday. Front & back view. This one was for Carly's 12th birthday. 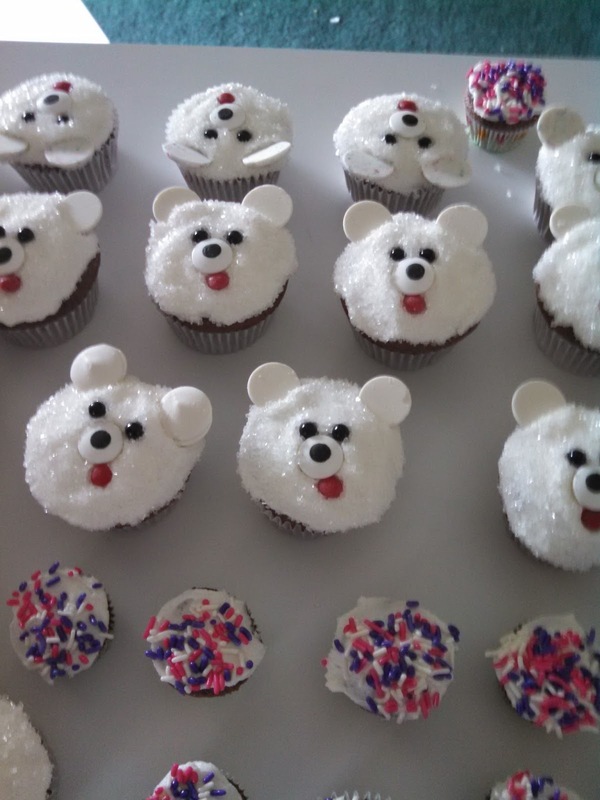 She was at girls camp for her actual birthday so I made these for when she got home because her favorite animal is a polar bear! My brother in law, Mark's 50th birthday party. 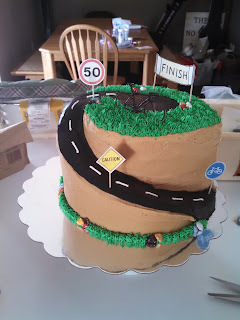 He's a big cyclist so I did a carved road leading to the finish line! Okay, now I'm caught up and I will try to document these cakes as I make them. It makes for more interesting journaling too when I can remember what was happening and who the cakes were for! 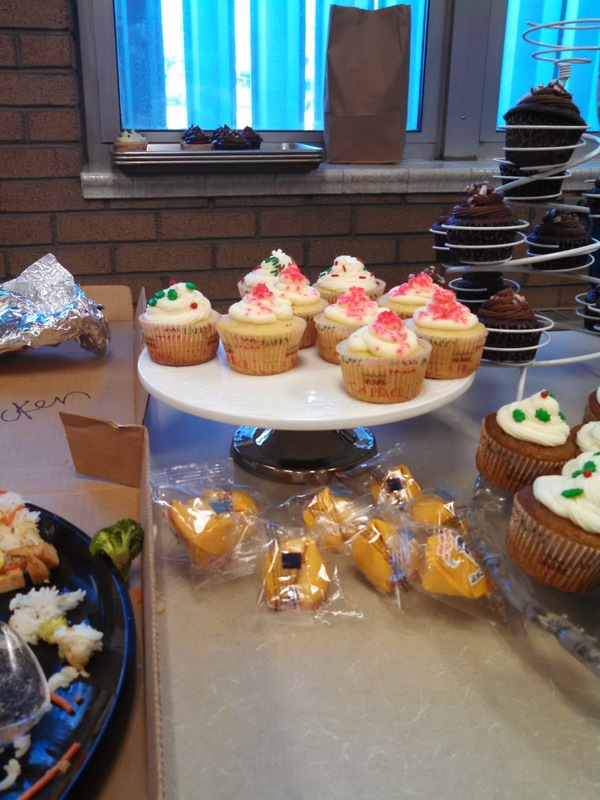 December 17, 2014- I made a bunch of cupcakes for the PTA Christmas dinner. 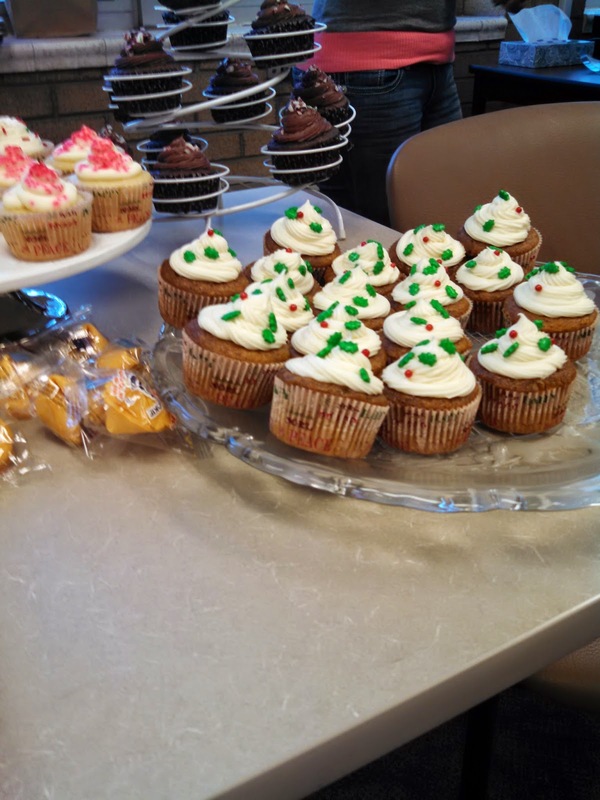 There was mint chocolate with ganache frosting, pumpkin spice with cream cheese frosting, and vanilla with whipped cream frosting. 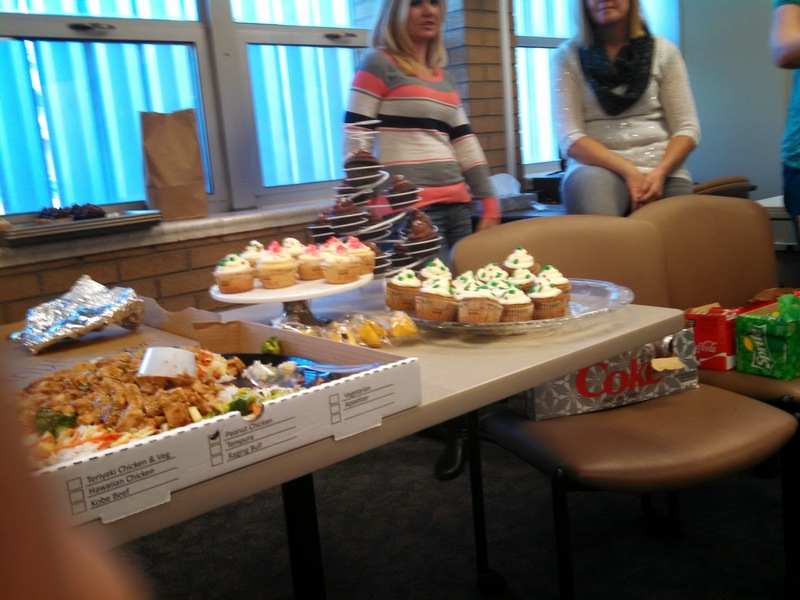 They turned out cute and the teachers appreciated them! August 11, 2014- I honestly can't remember who this cake was for. I am blogging these pics much later that they were taken. I thought it was for a friends daughter but the date on the picture doesn't match with her birthday. So, it's a mystery for now who the ladybugs were for! 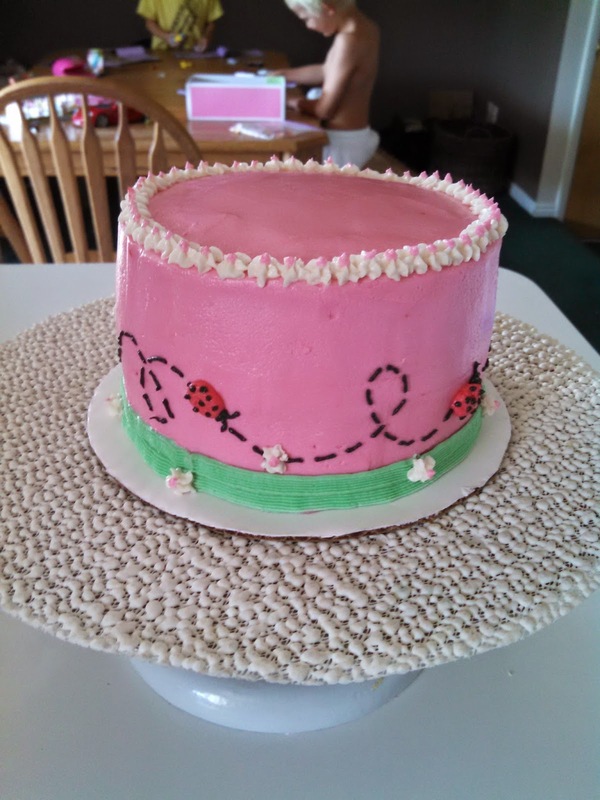 September 3, 2014-This was a fun, whimsical cake to make. It was for my nieces birthday. 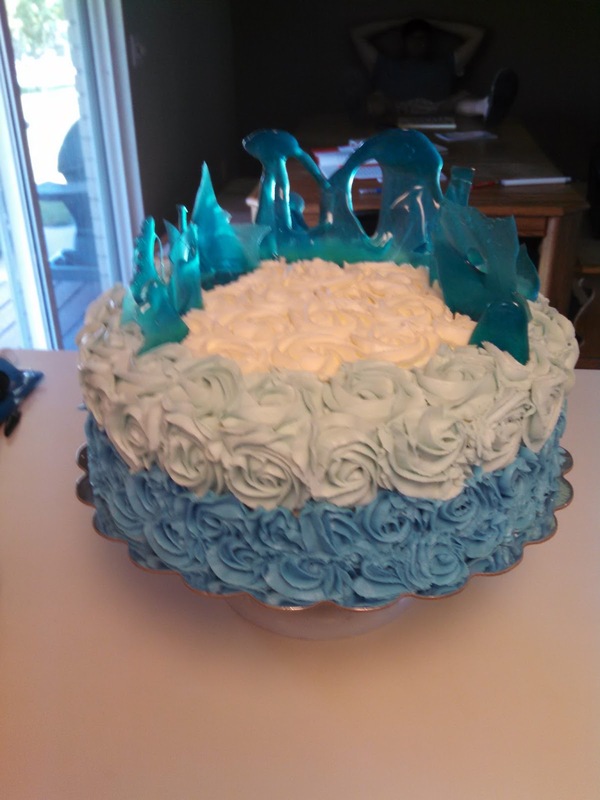 She is a big Frozen fan and wanted a Frozen themed cake. Though I didn't hand make the figures, the ice castle on top is made of hard candy that I shaped to fit on the cake. One of my sister-in-laws neighbors saw it and asked for another one just like it for her little girl. May 17, 2014- These cupcakes were for my mom's spring piano recital. My daughter is one of her students and naturally they look like a music note and a treble clef! May 10, 2014- This cute sock monkey cake was for my nephews 1st birthday. He got his very own smash cake to eat all by himself! March 7, 2014- This cake I made for a friend. 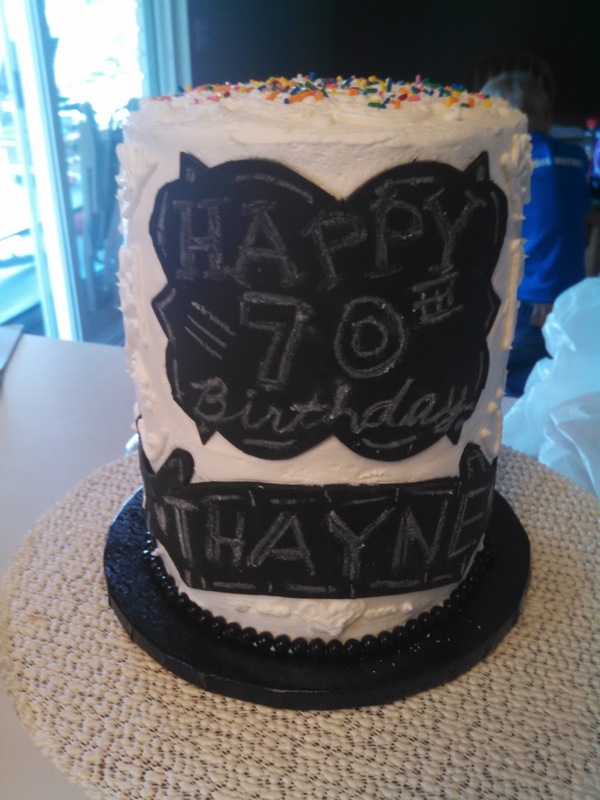 Her mom was turning 75 and is big into genealogy and wanted a family tree for her cake. It has all her family members named on each leaf and has her and her husbands initials carved into the tree trunk inside a heart! I am a mother of 4 and spend my time washing, cooking, cleaning, baking, kissing, playing, hugging, teaching, and everything else a busy mom does! 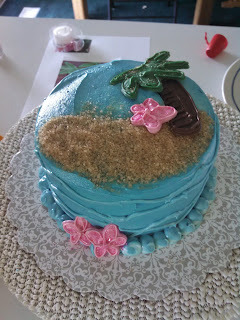 In my spare time I love to do cakes, play volleyball, read, and hang out with my hubby who is my very best friend!